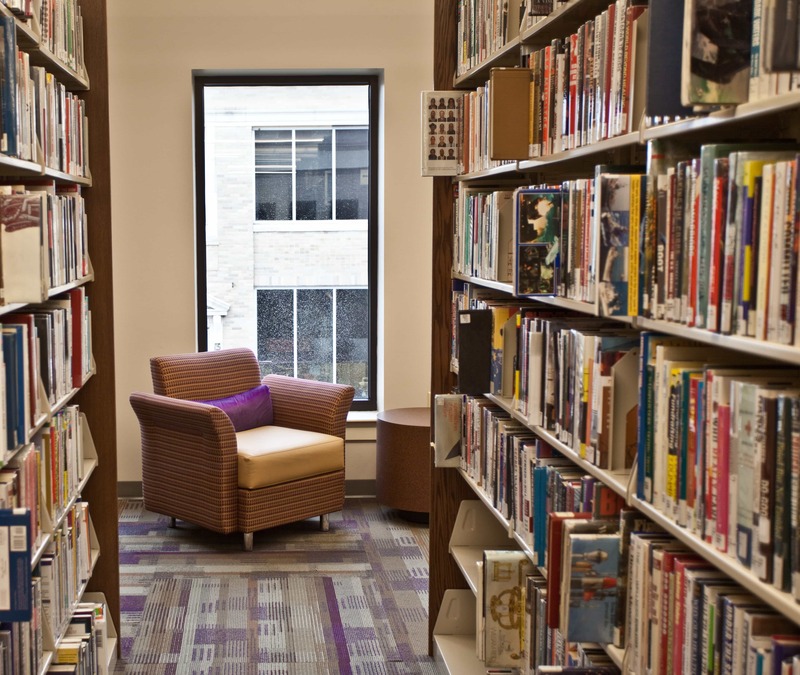 Downtown Kokomo Library’s Main Branch Renovation is an embodiment of the community’s investment in their library, and their downtown economic development. 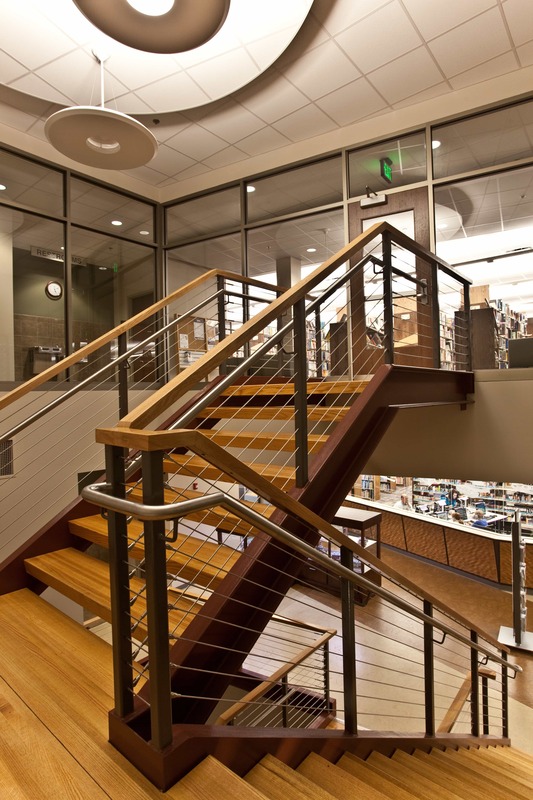 In need of an update, the main library’s primary design vision was to make this building highly intuitive and easy to use for patrons and staff alike. Access to the site was studied carefully to optimize efficiency in this area where pedestrian and vehicular traffic can often clash in a downtown setting. 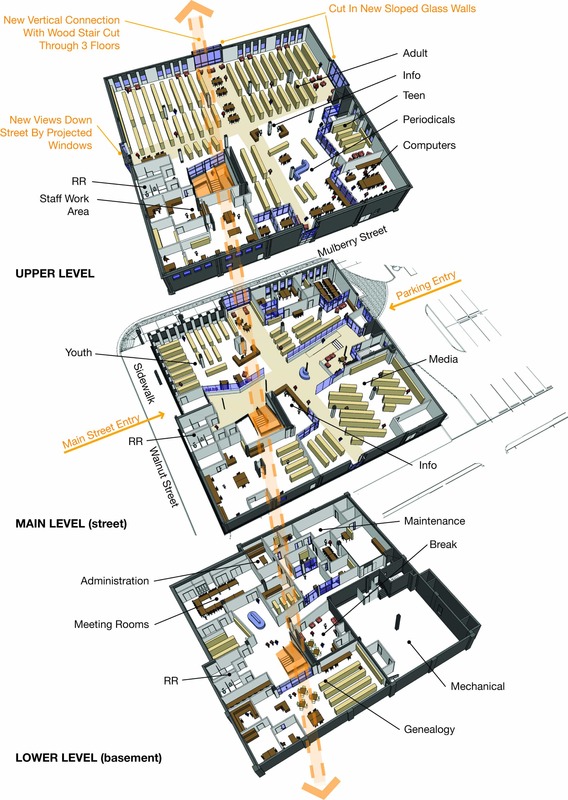 The resulting floor plan offers a lobby which spans through two main entrances and easily orients the user to the layout of the library, as well as function as a public gathering space. Clean lines, contemporary lighting, merged with exposed existing steel beams to infuse history with innovation. 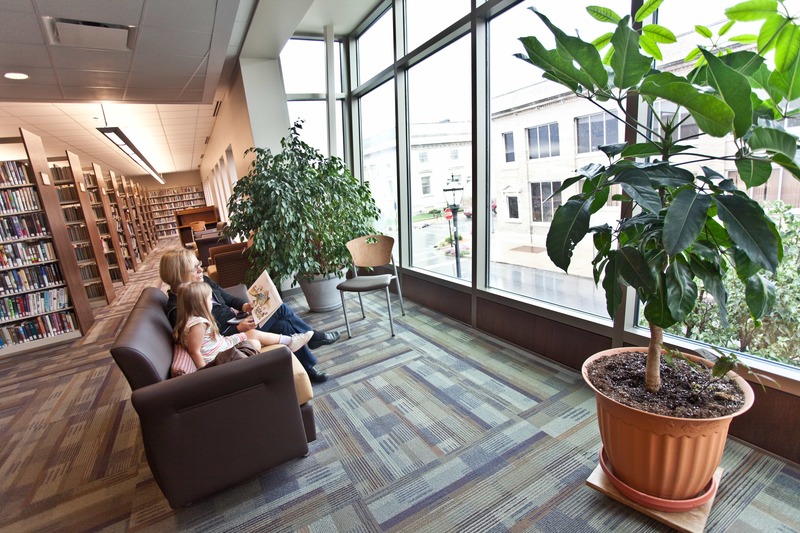 A cork flooring underfoot is comfortable and reduces unwanted acoustics, while lending warmth and sustainability to the library. An angled wall carries and punctuates the path through the library and offers an opportunity to showcase etched glass which tells the history of the ‘City of Firsts’. 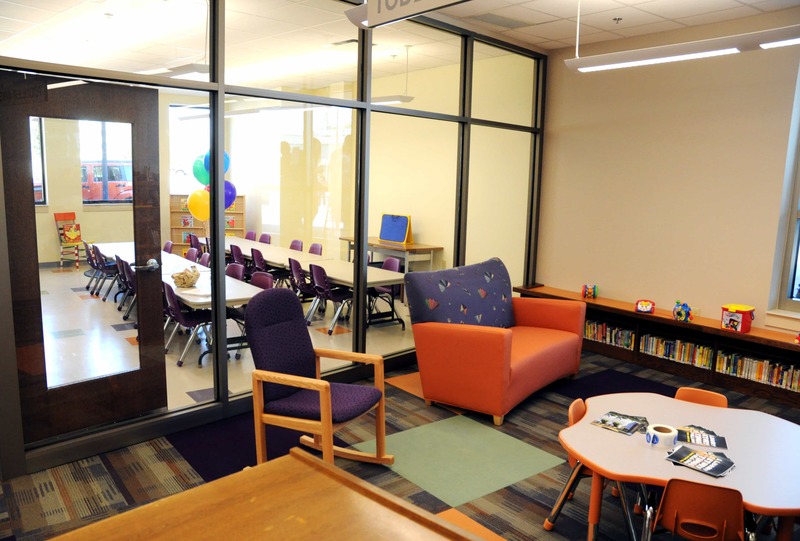 The first main floor offers the highly accessible Audio-Visual materials as well as the Children’s Space Department. Traveling up a new 3-story open-riser wood staircase which pierced through existing floors, the patron is offered easy views to all levels. The second upper floor houses the Main Collection, as well as the Youthtopia Area Space and main Computer Lab. 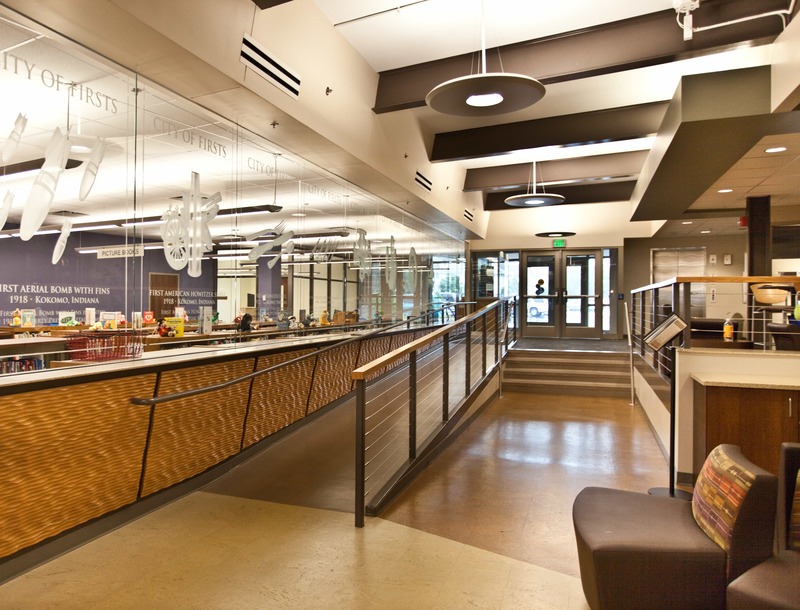 On the lower level, art displays were integrated into the walls to create a gallery space with seating directly outside the dividable public meeting rooms. From this gallery, as well, Genealogy and the Local History Department is easily visible and punctuated with its local and historic architectural detailing. The only element truly recognizable in this full-scale renovation is the existing exterior brick. The existing brick shell remained while new windows delicately and deliberately push through and lean out to offer patrons perspective to the downtown from inside the library.